"making surrealism each one's Other"
"Surrealism -- we cannot sense its destination otherwise -- is and has always been a collective experience. This is its first trait. 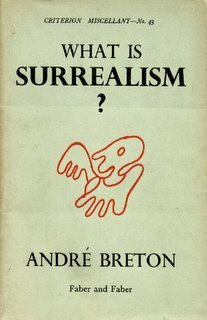 Here we may suspect that Andre Breton's role was different from the one that is recognized through admiration, affection, or personal ill will as having been his. He was neither a master nor a guide, neither the leader of a party nor the head of a religion, any more than a simple arbiter or genius who would have taken the place of all others through his innocent superiority, founding a coherence and an existence where, without him, there would have been only the stirring of a few dreams or a configuration of ardent wishes. If he was predominant, he was only so outside the group, through his books, his prestige, and his radiant authority: his manner of being truthfully present everywhere. Perhaps, however, within surrealism, he had the particular power not of being the *one* any more than the others, but of making surrealism each one's Other, and in the attraction of this Other taken as a living presence-absence (a *beyond the day* at the horizon of a space unknown and without a beyond), of living it with friendship in the most rigorous sense of this exacting term: making the surrealist affirmation, in other words, a presence of a work of friendship. 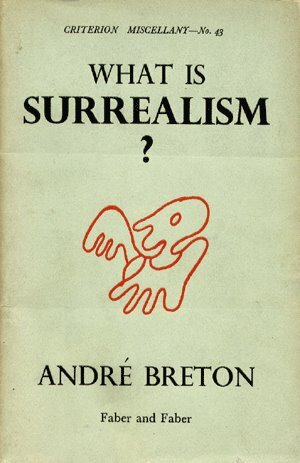 Were the surrealists, then, no more than a group of friends? And should their mutual understanding, as well as their separations, be considered simply as the vicissitudes belonging to human relations, where what is involved is first a question of persons? Not in the least. Let us try to understand this more fully. Surrealism is always a third party in the friendship; an absent third term through which passes and through which issues this relation of tension and passion that effaces characters as it gives rise to and motivates initiatives and attractions. Whosoever falls short of surrealism (its coldest rules as well as its most burning affirmations) falls short of this friendship and excludes himself from any possibility of encounter, no matter whether he be companion or brother. It is not in the name of betrayed friendship that the exigency in play strikes those who place themselves outside the game; it is rather this exigency itself, making possible or impossible the relations that the rapproachements, encounters and exchanges determine at the level of the everyday, that leads them to a rigorous friendship, but a friendship always revocable, always short of what the surrealist demand might ask of it." When is still still still? 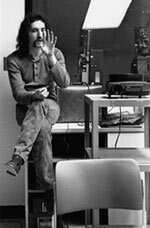 *Short Shadows was composed Spring '05.